Starting a website is never easy given that we have many hosting options to consider. Getting a webhosting account from a good hosting company is what many will want to do. I understand that there ae many companies offering free webshoting services and at times even free domain name. Such offers look good but can really land you in trouble when you wake up one day to see that you cannot have access to your account. But why so? The reason is simple, you did not pay for the domain name nor the hosting. If things comes to the worst you should get a domain name for your website of you really want to use free hosting service. i. You dont pay a dollar to host your website. iii. You cannot have access to all facilities of cpanel. iv. You might get ads on your website . These ads will act as compensation for the free service. v. Free webshosting accounts do not have enough space. This makes it difficult for you to share videos, images and other materials. vi. With free hosting, ypu are limited to templates design by the hosting company . Making your website limited in terms of innovation. v. Most free webhosting services do not offer e-commerce facilities. vi. Your website can be shut down at any time withouut notification, since it is free. Are you planning to Build a Professional Website or Blog ? With a paid hosting account, You can do the following. i. have and own your domain name. ii. customize website themes . iii. advertise in your blog at your will. iv. With a paid hosting account, your customers will trust you since your brand name is unique. V. You can add or remove whatever you want from your website at any time. vi. Full acess to cpanel and FTP login. As mentioned earlier, there are many web hosting companies on the internet. However, we need to host our website on a company that we trust . Hostgator is one of such a company i recommed to most people. By searching on Google you can get a good number of companies to get started with such as blue host, dream host among others. Always make use of coupon codes as they can help you save some dollars . However you should not go for cheap and forget about the facilities to benefit from the webhosting company. 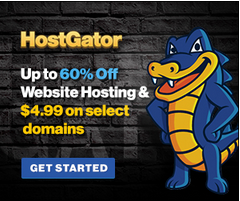 i. Hostgator offers cheap webhosting services with discounts of up to 60 Percent when you make a purchase. ii. Hostgator offers several webhosting packages such as : reseller hosting, cloud hosting, VPS, dedicated servers, share hosting just to name but few. iii. Hostgator offers live support to its client. vi. Hostgator has one click tools that can help you install open source softwares such as word press, magneto,joomla and more. v. By hosting you website on hostgator, you will ge free Yahho/bing credits, free Adword credit, free website builder, free website scripts among others. The major reason newbies tak free hosting account is because they think they dont have the knowledge. 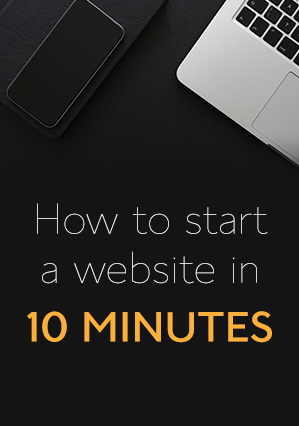 With the evolution in web technology, eveything has been put in place for you to get started with creating your website with no coding skills. You can check out the post below. Fo all Those who want to start a website or blog, get our exclusive discount or use our coupon code RMONEY60 to get 60% off your hosting . Do you prefer cheap hosting or free Hosting? What is the reason for your Choice? Thank you for sharing sir. Can you provide us with coupons o use on Hostgator?